US Dept. of Energy (DOE)’s Lawrence Berkeley National Laboratory (Berkeley Lab) scientists are developing a new paint-on coating that will help building owners improve the energy efficiency of their windows, without the need for trained installers. 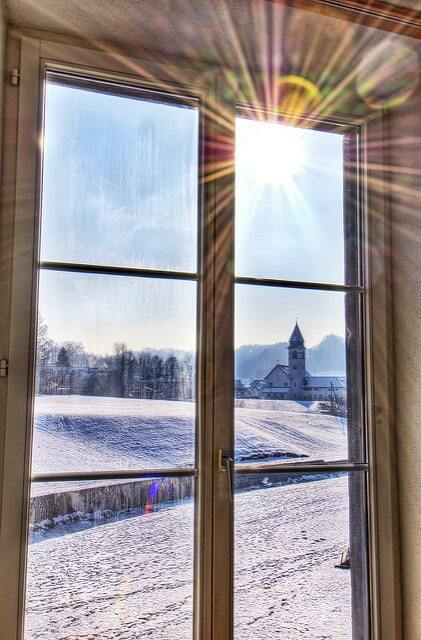 There are retrofit window films on the market now that have spectral selectivity, but a professional contractor is needed to install them, a barrier for many building owners and homeowners. A low-cost option could significantly expand adoption and result in potential annual energy savings of 35 billion kilowatt-hours, reducing carbon dioxide emissions by 24 billion kilograms per year, the equivalent of taking 5 million cars off the road. 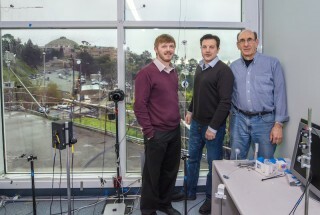 Berkeley Lab scientists (from left) Raymond Weitekamp, Arman Shehabi, and Steve Selkowitz will use the Berkeley Lab windows test lab in developing a paintable heat-reflective coating for low-cost energy efficient windows. Weitekamp is collaborating with Berkeley Lab’s Steve Selkowitz, a leading expert on building science and window technologies, and Arman Shehabi, an expert in analyzing energy use of buildings, to develop a cost-competitive and scalable product. Their target cost is $1.50 per square foot, one-tenth the current market cost for commercially installed energy efficient retrofit window coatings. Shehabi will be developing building simulation models and life cycle assessment models to understand how this technology would impact energy use in buildings and how energy savings could be maximized. He’ll also use technoeconomic models to look at things like manufacturing considerations and payback period.